Enhances serotonin synthesis for emotional well-being and restful sleep. The essential amino acid l-tryptophan is a serotonin precursor. 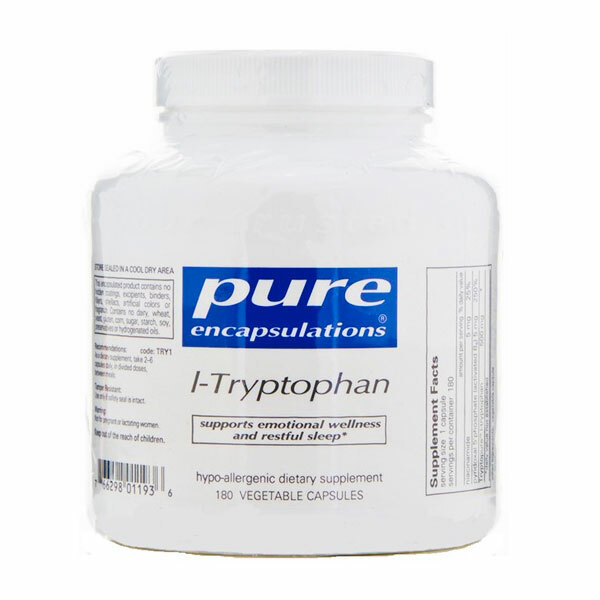 Research indicates that l-tryptophan supplementation may support emotional well-being and restful sleep. In a double blind placebo-controlled study, l-tryptophan supported healthy emotional processing and promoted positive outlook in women. In a separate study, it supported healthy mood and lessened occasional irritability during the menstrual cycle. l- Tryptophan also supports healthy sleep quality, onset and duration. Additional research suggests that tryptophan may promote relaxation and help control occasional cravings. Niacinamide and vitamin B6 provide enhanced support as important cofactors involved in the metabolism of l-tryptophan.